Dr. Sharon Tan is a Senior Lecturer in the Department of Information Systems and Analytics at the National University of Singapore (NUS), Her research focuses mainly on the intersection of IT and healthcare with a special focus on HIT adoption and use, Health 2.0 and Mobile Health, and Health Analytics. Her work has been presented at premier conferences and published in premier journals such as MIS Quarterly, Information Systems Research and Journal of Medical Internet Research. She has served as guest co-editor for a special section in Information Systems Frontiers and a focus theme issue for Methods of Information in Medicine on “Big Data & Analytics in Healthcare" and currently serves on the editorial board of the Journal of AIS and the Journal of Database Management. Sharon was previously the Academic Director of the Centre for Health Informatics (CHI) at NUS and has served as Program Co-Chair for the International Conference on Big Data and Analytics in Healthcare (BDAH), Organizing Committee member for BDAH, and Track Chair for the health IT/IS track for several conferences including International Conference on Information Systems, Pacific Asia Conference on Information Systems and International Conference on Electronic Commerce. Currently, she is a member of the Singapore IDA's National Infocomm Competency Framework (NICF) Expert Panel. 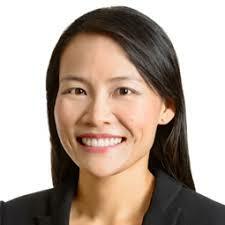 She holds a Ph.D. from Tepper School of Business, Carnegie Mellon University, and a MSc. and BSc. (Honors) in Information Systems from the National University of Singapore.